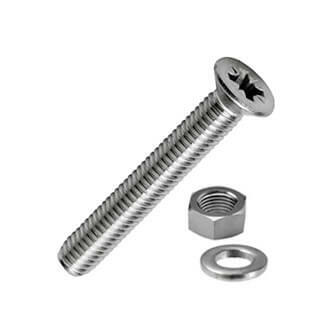 Machine screw with countersunk pozidriv head manufactured from 316 marine grade stainless steel (A4-AISI). Supplied with full nut and plain washer. Countersunk head for a flush fit. nicely polished finish to go with the polished hinges to give a professional quality appearance.